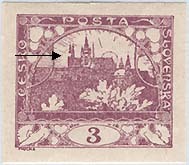 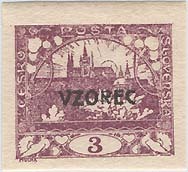 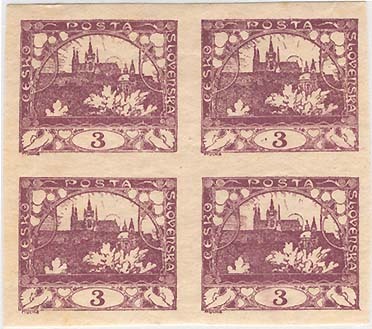 Hradčany stamps 3 h value - Pofis 2. 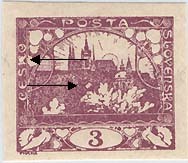 The first design, drawing a, Alfons Mucha, Letterpress. 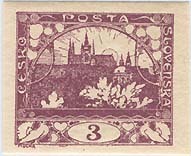 Issued 21/12-1918. 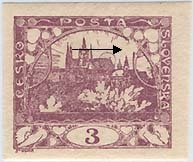 Hradčany 3 halíře - Pofis 2. 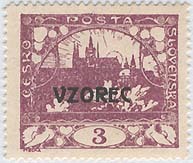 První kresba, kresba a, Alfons Mucha, Knihtisk - den vydání 21/12-1918. 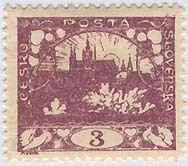 "Spots in ČESKO and in the bush"